It’s time for making changes to the way we run our annual Excellence in Journalism awards dinner. Just as the media landscape is changing all around us, so should we. This year, we are trying a new type of venue for our awards dinner. Why, you ask. As most things, it comes down to money. The cost of hosting a sit-down dinner is becoming higher than the amount of money the chapter receives in organizing it. Simply put, CTSPJ is losing thousands of dollars each year because of the dinner. The venue for the past two years has cost more than $4,000 and ticket sales have not been able to cover that amount. The chapter’s reserves have absorbed the deficits in recent years and can continue for the next decade or more, but it’s important the chapter reduce costs now in order to maintain existence much longer. Making changes is something the board has discussed for many years but we decided last year to taking a hard look at other options available. At the July 1 board meeting, members voted unanimously to examine a different direction for its award dinners. In past few years, the dinners have been held at function facilities with a sit-down dinner in the suburbs. It was agreed that a new format, involving a buffet dinner either at a restaurant or at a rented space in a city would be best. Hartford and New Haven were discussed as locations to focus on, with a greater focus on sites near public transportation. Board members were then tasked with finding possible locations and submitting them to discuss at a meeting in December. At that meeting, the board meet to review 16 recommendations in the two cities. Cost and capacity were the major issue in reducing the number of selections down to three: The Press in Hartford, City Steam in Hartford and Bar in New Haven. A final site was picked on Jan. 12. The 2018 Excellence in Journalism contest will open for entries on Dec. 23, 2018. The deadline is Feb. 15, 2019 has been extended to Tuesday, Feb. 19, at midnight! You can enter the contest here. The contest is open for items published or broadcast in 2018. Entry fees are $10 for members (with valid SPJ member number) and $25 for non-members or entries paid for by a news organization. Please contact national SPJ membership coordinator Caroline Escobar at cescobar@spj.org if you do not know your member number. For questions about the Connecticut contest, please contact contest clerk Kathleen Farmer at kathleenctspj@gmail.com. The following is the list of circulation categories for the Excellence in Journalism contest. If you don’t see your media outlet listed here, please contact contest clerk Kathleen Farmer at kathleenctspj@gmail.com, and we will add it. These categories are based, in part, on media outlets’ advertised coverage areas and staffing levels. To petition for a change in circulation class, please contact CTSPJ President Bruno Matarazzo at bjmatarazzo@gmail.com. The CTSPJ Board of Directors will consider all requests, and any approved changes will take effect in the next year’s contest season. * Note: Any item that appeared in a higher circulation publication should be entered in that circulation class. The following are some job opportunities for journalists in Connecticut and on the East Coast. Please note that some of the positions may have been filled and links may expire. Assistant managing editor: The Republican-American in Waterbury, Conn. have an opportunity for you to make a difference for our readers and communities as our assistant managing editor, local news. Job requirements include experience as a bureau chief or assignment editor; knowledge and a track record of working with online journalism, including video editing, website management and social media; the ability to problem solve and multi-task in a challenging deadline environment; and a passion for and belief in quality journalism that engages, educates and informs. Reporting experience preferred. News director: WTNH News 8 and WCTX MyTV 9 is seeking an experienced and creative leader in the position of News Director. The position of News Director will be accountable for budgets, strategic planning, brand building, and talent contracts. The ideal News Director will have experience working with unions, have a broad portfolio of experience in news operations, be instantaneous with decision-making; able to fluidly move between strategic and tactical activities; able to influence and engage multiple internal and external audiences; and be accomplished in building and developing a highly skilled, empowered, passionate news room staff. Incumbents in this role will have strong business and financial acumen, demonstrating the ability to build and manage a budget. Online news editor: Hearst CT Media is looking for an online news editor. If you have a nose for news and a keen eye for a good story, we would like you to join our team. We are an energetic and focused group that delivers breaking and buzzy news on eleven websites in the powerful Fairfield County market. We are pleased to announce that, for the fourth year in a row, we’re offering a travel grant for one member and one student to attend the 2018 national conference. This year’s Excellence in Journalism Conference will be held in Baltimore from Sept. 27-29. Last year’s winners were Jill Konopka of WVIT-30 NBC and Analisa Novak, recent graduate from CCSU. 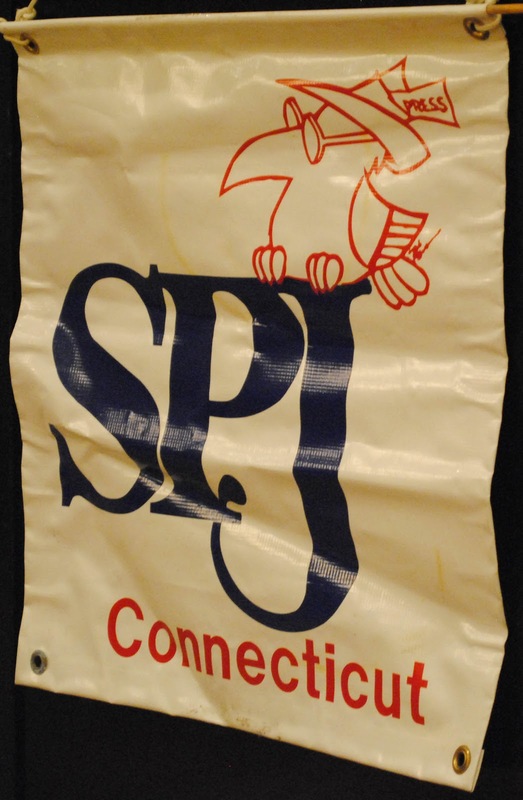 Connecticut SPJ is offering a grant of up to $1,000 to cover the cost for one member to attend, as well as another $500 to help a student attend. If you’re interested in applying for the grant, please send a a short essay, along with your SPJ member number, to Cindy Simoneau, a past president of the CTSPJ board, at simoneauc1@southernct.edu. Simoneau will prepare all entries for a blind review by the CTSPJ board. Applications are due by July 6 at noon. The winners must be members in good standing of CTSPJ. New members are welcome to apply. Thank you to everyone who attended the 2017 Excellence in Journalism awards ceremony on May 24. It was a great night celebrating all of the great work from journalists around the state. We honored the late Lucy Crosbie, long time publisher of the Chronicle in Willimantic and a trailblazer for women in Connecticut Journalism, by inducting her into our Hall of Fame. We also recognized the efforts of former Connecticut Public Affairs Network President Paul Giguere in improving transparency of government at the state level with the Connecticut Network. We hope to see you all again next year at our annual May dinner. We are pleased to announce that, for the fourth year in a row, we’re offering a travel grant for one member and one student to attend the 2018 national conference. This year’s Excellence in Journalism Conference will be held in Baltimore from Sept. 27-29. Last year’s winners were Jill Kopnoka of WVIT-30 NBC and Analisa Novak, recent graduate from CCSU. Applications are due by June 29 at noon. The winners must be members in good standing of CTSPJ. New members are welcome to apply. Have you listened to our Podcast yet? In case you missed it — and where have you been —, Connecticut SPJ has launched its own podcast, with episodes airing twice per month. 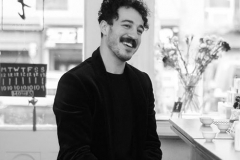 June’s episodes include conversations with Society of Professional Journalists about the Facebook Journalism Project and Whistleblower Project, and an interview with retiring Day publisher Gary Farrugia. 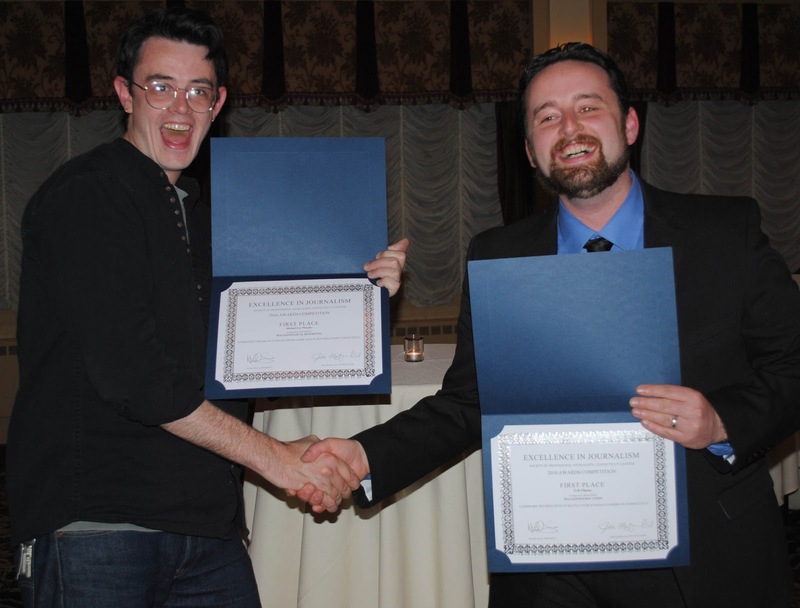 While you’re on our Soundcloud page, be sure to check out past programming including our first episode with Connecticut SPJ President Mike Savino and Board Member Pete Paguaga, and the audio from our Women in Journalism event in March. 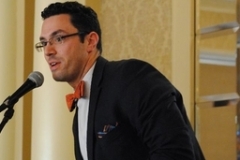 Our friends at the Connecticut Council for Freedom of Information are holding their annual meeting luncheon on June 26 beginning at 11:30 a.m. At the luncheon, CCFOI will honor the work of some journalists and FOI advocates, including Hartford Courant reporter Matt Kauffman and former First Amendment Lawyer and CCFOI president Dan Klau, who recently became a state of Connecticut judge. The CCFOI Board of Directors also plans to nominate Mike Savino, outgoing CT SPJ president, as its new president. The event is at the Pond House at Elizabeth Park in Hartford, and tickets at $55 at the door. After the CDC said earlier this month that suicide rates have jumped around the country, a report that was released in between celebrity suicides, Poynter posted several articles looking at how journalists generally cover suicides. Poynter reposted a 2014 story looking at suicide contagions and the media’s role in copycats, the organization also published suggested best practices. Covering suicides is clearly a difficult task for journalism, including decisions on when and how to report on them. While journalists are certainly free to agree or disagree with Poynter, we suggest they review the SPJ Code of Ethics whenever they are tasked with covering suicide. This is useful when it comes to a specific incident or the topic as a whole. 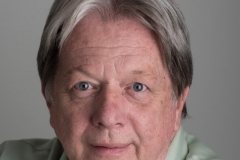 Peter M. Casolino, longtime photographer for the New Haven Register and Hartford Courant, died on June 15 after a brief illness. 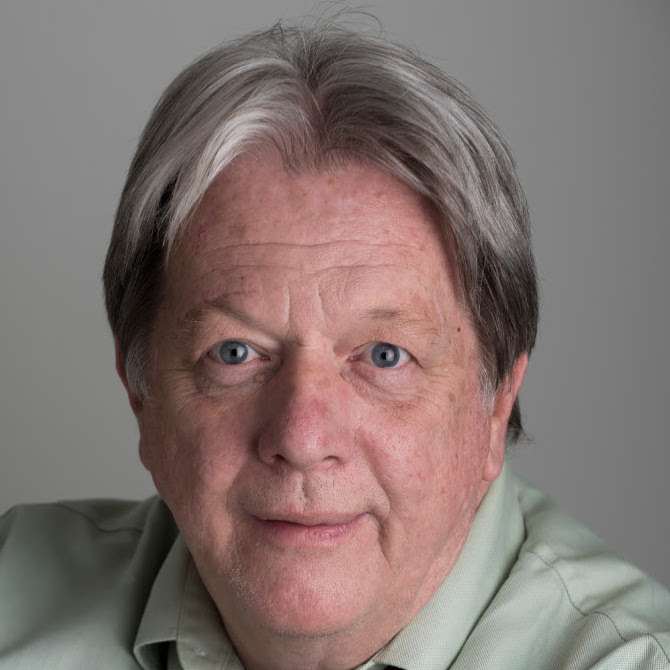 He was a photographer and editor for the Register from 1991 through 2014, and more recently worked as a contract photographer for the Courant. He also graduated from Southern Connecticut State University. Peter was only 51 and leaves behind a young son. A Go Fund Me page has been set up to help Peter’s son, Ryan, get through the loss and to pay for his future education. 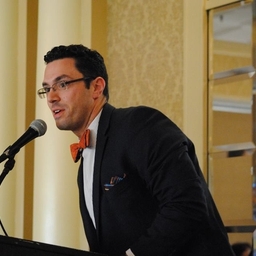 At the annual dinner in May, Connecticut SPJ elected Bruno Matarazzo, of the Republican American, as its new president beginning July 1. 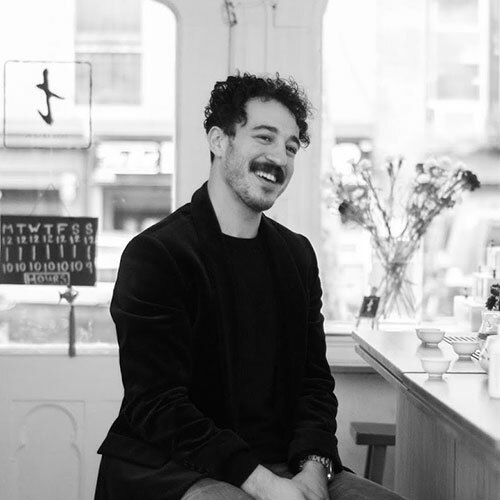 Bruno joined the board in 2014 and currently serves as treasurer. He replaces Mike Savino, who reached his term limit. Savino will now serve as immediate past president. Congratulations to Bruno! The Connecticut Society of Professional Journalists would like to submit the following testimony regarding HB 5175, An Act Concerning Appeals Under the Freedom of Information Act. We stand in strong opposition to this bill so long as it proposes a filing fee on FOI complaints. CT SPJ opposes any effort to levy a fee on FOI complaints, but $125 per filing is excessive. Such a fee would provide an incentive for municipalities to deny requests for information it doesn’t wish to disclose. Furthermore, it is punitive to the public whenever municipal officials have not been given adequate training on the FOI act, and thus aren’t familiar with all of the requirements. Please don’t forget that the FOI act also dictates the public’s access to both documents and meetings of government boards and agencies. That means people with a broad range of experience and access to resources, such as legal counsel, decide whether to grant or deny public access at any given time. Connecticut SPJ does support the changes proposed in section 5 of this bill, which give the Commission some flexibility to address vexatious complaints. Furthermore, the language appears to give that flexibility to the Commission, and relief to municipalities, without prohibiting or deterring the public from exercising its right to access information. The CTSPJ 2017 Excellence in Journalism Contest is now open for entries. You can enter the contest here. Deadline for entries is Feb. 15 at 11:59 p.m. Monday, Feb. 19, at 5 p.m. All entries must have been published or broadcast in 2017. We are adding two new categories this year: Data and Health reporting. Magazines remain in their own circulation class, Region C (Magazines). Please review the circulation class list before entering. If you do not see your media outlet on the list, please contact contest clerk Jessica Garin at Jessica.Garin.U@gmail.com. All media outlets compete against each other in the top three special awards categories. For the rest of the categories (below), media outlets will compete in their circulation class. Data | A reporting project that relied heavily on analyzing data. Health reporting | A story dealing with health-related topics. If you do not know your member number, please contact SPJ’s national membership coordinator, Linda Hall, at LindaH@SPJ.org or at (317) 927-8000. College contest runs from March 15 to April 15, 2018, for the 2017-18 academic year. We’re offering free entries to those who volunteer to judge. If your news outlet agrees to judge 10 categories from our swapping partners, we’ll give you a free entry. Individuals who agree to judge two categories will get a free entry. Please sign up for judging swaps with Contest Clerk Jessica Garin at Jessica.Garin.U@gmail.com. In his new podcast, CT Pro Chapter President Mike Savino talks to national SPJ President Rebecca Baker about how the news media should handle sexual misconduct allegations. Savino and Baker talk about both how to report on allegations, and how news organizations should handle complaints from within. Click here to listen to the podcast or listen below.